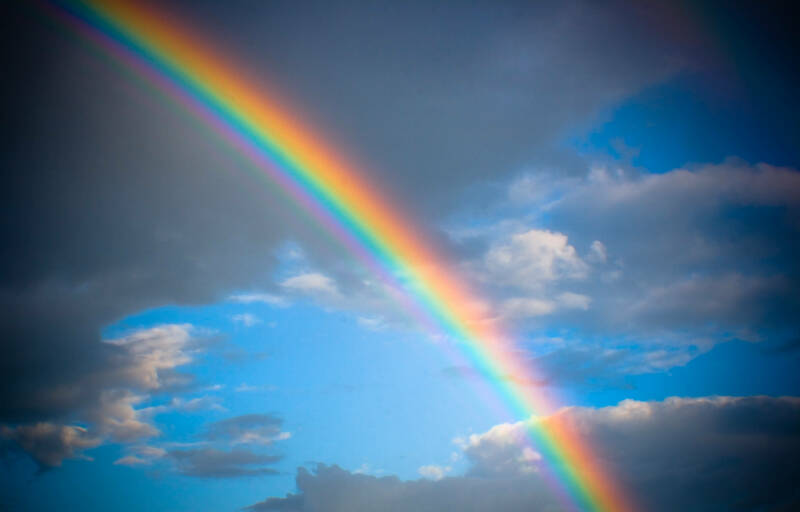 On life’s journey, always look for the rainbow in every life lesson that you move through. Life is an emotional journey, and how you feel through every experience moves you either into alignment with source or away from source. It’s extremely important that you are always tuned into how you are feeling. When you are happy, joyful, at peace, feeling abundant and loved; you are in alignment with source and your vibrational level is high. This is where you attract into your life more of what you desire and it will manifest quickly because you are teamed up with source. You are worthy of all the abundance and blessings that you desire. Likewise, if you make the choice to focus your attention on the things you do not want in your life, it will be difficult for you to see the rainbow as you move through the life lesson. In fact, you will find yourself staying in the same place that you don’t want to be in and that brings about dis-ease. That’s the law, the law of attraction, and this law is very powerful. What you are placing in your thoughts affect how you feel, and whatever you place your emphasis on is what you will attract into your life. It’s really important to only think and speak about what you want to draw into your life, focusing on these thoughts and feelings that bring you joy. This is how you are able to see the beauty in the rainbow, it’s how you move with ease through the life lesson. I challenge you to place your intention on what you really want in your life. Focus on thoughts that make you very happy. Keep thinking about these thoughts for about a minute. This moves you into alignment to your source and you f-e-e-l great! When a thought comes into your mind that moves you away from this wonderful feeling, release it right away and get your mind re-centered again on what you do want and hold that thought once again until you are connected with how you are feeling…happy and at peace. You want to always build momentum on what you DO want to attract into your life. Be careful not to build momentum on want you do not want. This entry was posted in Home and tagged beauty in everything, choices, emotional, encouraging, happiness, inner peace, intention, Law of Attraction, rainbow, self help, spirituality. Bookmark the permalink.